Northern Ireland and its troubled past has been in the news a lot in the past few months. First, there were the failed 2013 negotiations chaired by Richard Haass that aimed to deal with the legacy of the Troubles; in the past few weeks, controversy has again erupted over the collapse of the John Downey trial, and the ‘secret’ letters issued to on-the-run IRA members. Northern Ireland continues to be a troubled land, and in John Gibney’s book, he examines the afterlife of one of the most important events in Irish history, and the breeding ground of subsequent conflict. Gibney’s book is concerned with the 1641 Irish rebellion, which broke out on 23 October of that year and involved the killing and expulsion of large numbers of English and Scottish Protestants from Ireland, particularly in Ulster. Civil war, and the eventual conquest by Oliver Cromwell and the English Parliament, followed. We know about these events, and the experiences of those English and Scottish people, through the legal statements they left behind: the 1641 depositions. Gibney’s account takes off from the events of 1641, and shows that all is not as it seems. At the heart of Gibney’s book is the argument that two ‘versions’ of 1641 exist. One is the Protestant version, founded on the belief of a general massacre in 1641, and used by subsequent generations to uphold the privileged position of Protestants in Ireland by virtue of the violent and untrustworthy nature of Catholics. Then there is the Catholic version, which says that no massacre occurred, that the rebellion was a just one because of the oppression of the English government in Ireland, and that the 1641 depositions were inherently untrustworthy as historical documents, because they contained so much hearsay-only evidence, and obvious exaggeration. This binary approach to events of 1641 continued into the nineteenth century, with scholars continuing the debates surrounding the depositions as evidence, and disputing whether a massacre of Protestants had occurred. One of Gibney’s conclusions is that the continued survival of myths surrounding 1641, the blaming of the Catholic Irish, and the subsequent justification for the privileging of Protestants on the basis of 1641, was one of the key contributors to the growth of Irish nationalism in the nineteenth century, and the creation of modern independent Ireland. Of course, what is left unsaid is that 1641 is also an ancestor of modern Northern Ireland, in its partitioned state from the rest of the island. 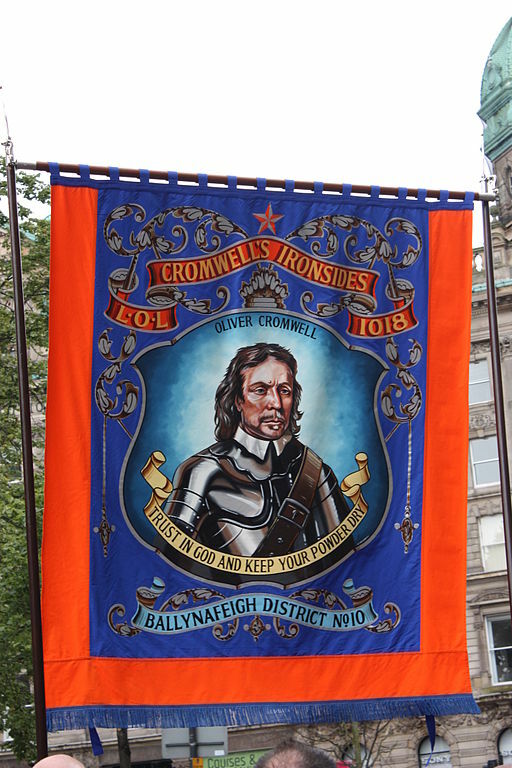 The continued loyalism of a large proportion of the Northern Irish to the United Kingdom has its origins in the seventeenth century, and especially the suffering of 1641. John Gibney’s book is a very important contribution to understanding how events that occurred so long ago continue to have such important political implications, and as such comes very highly recommended as an account of (some of) the origins of Ireland’s Troubles.